Large windows for easy shot placement! 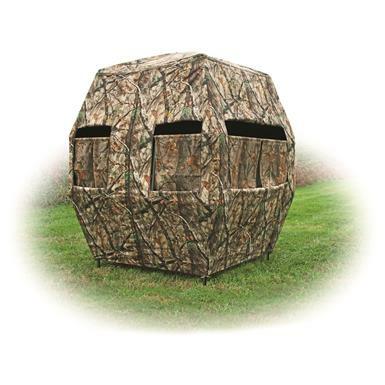 57" x 57" x 84"
Your new hunting hideout that goes up in a flash! The X-Stand Kingpin Ground Blind offers plenty of room to stretch out, or line up your perfect shot without restriction. And you won't have to worry about giving yourself away. 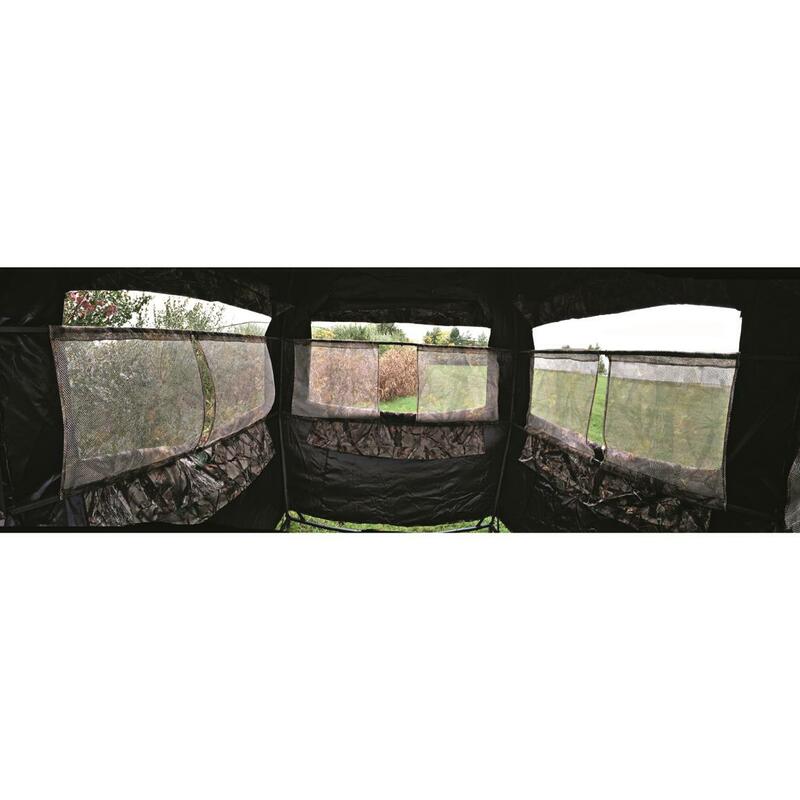 Thanks to its Military-grade DZX camo exterior, blacked-out interior and window covers, your movement and scent will be under wraps and wildlife won't ever see you coming. Overall Dimensions: 57" x 57"